"We all live in a yellow submarine, yellow submarine, yellow submarine. And our friends are all aboard. Many more of them live next door. And the band begins to play..." Die Beatles hätten es nicht besser beschreiben können. 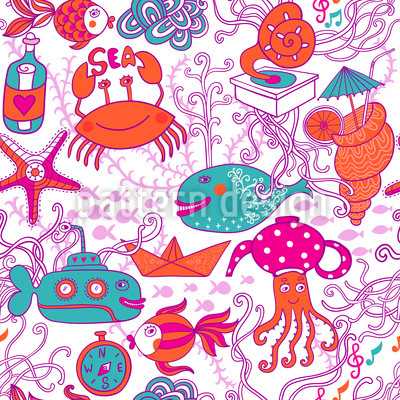 Dieses zauberhafte Unterwasser-Design mit unzähligen Meeres-Ornamenten bringt uns total in Stimmung.